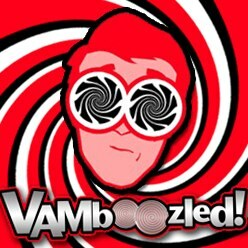 Help Florida Teacher Luke Flint “Tell His Story” about His VAM Scores | VAMboozled! This entry was posted in Video and tagged Consequences, Consumer Alert!, Fairness, Formative, High Stakes, Measurement Errors, Regression to the Mean, States, Statistics, Tests, Validity by Audrey Amrein-Beardsley. Bookmark the permalink. Great presentation of why Florida’s VAM scores are unethical. It seems to me that this argument is a winnable lawsuit. I have high scoring students, but we are DONE. Too much, too often, disrupted instruction, access to computers, media centers, and more. So, now, my children are no longer participating in anything that is tied to VAM. MY children aren’t in school to evaluate their teachers, and VAM is crap crap crap! I hate what they are doing for our teachers. This has left me in shock. I had no idea of this program but there is obviously a major issue here that needs to be addressed in Tallahassee. This gentleman is obviously someone who cares about teaching and the effect a teacher has on his students. Someone missed the boat on this one and I hope that whoever gets voted in this election year takes this to the legislature for immediate review and take the appropriate action to correct a grievous wrong. This is amazing. How did he get his scores? We need to know all the scores, and the questions and the answers. This is amazing. How did he get his scores. We need to know all the scores, the test questions and the test answers. As a retired public school teacher, I am so impressed by this young man’s plea to his school board. It is clear, concise, and packs a powerful punch. No question was left unanswered. If the school board chooses to ignore him, they are either stupid or taking money from the plutocrats. This guy must be a terrific teacher. He should run for office.If things go the way of charter schools, big testing and state controlled school districts, teachers like Luke Flint will disappear. If that happens we will all be the worse for it. Mr. Flint speaks clearly and powerfully about the negative affects of VAM. He represents all of us whose careers rest on the capriciousness of VAM. I will share this story, because next year in Ohio, it may be my story. VAM in FL is voodoo. My previous Kindergarten scores (which were Below Expectations) were derived from my school’s Grade 3-5 scores. This year I moved to PreK. My VAM will be based upon showing growth using the cognitive assessment of the Battelle Developmental Inventory. My students are all Special Needs. Give me a break. Good for Luke Flint! Excellent speaker. I hope this hits home to the school board and makes its way to the legislature in FL. Let the teachers teach!! As both a mom and public school teacher, this is all so true! It honestly just makes me want to pull my kids out of public school and run away to a brand new career. We need to stop the insanity and start speaking out as this teacher just did! Thank you Mr. Flint, for speaking out so eloquently on behalf of all of our public school children and our instructional colleagues. It is beyond maddening what our present reality is! We cannot remain silent and idle, as an American institution is systematically destroyed before our very eyes. I hope your story IS passed on high and wide, and that it ignites the passion needed “to stop the madness”. He wouldn’t have seen scores beyond the highest achievable score if a parametric model was used. It truly is a problem of employing the wrong statistical model.